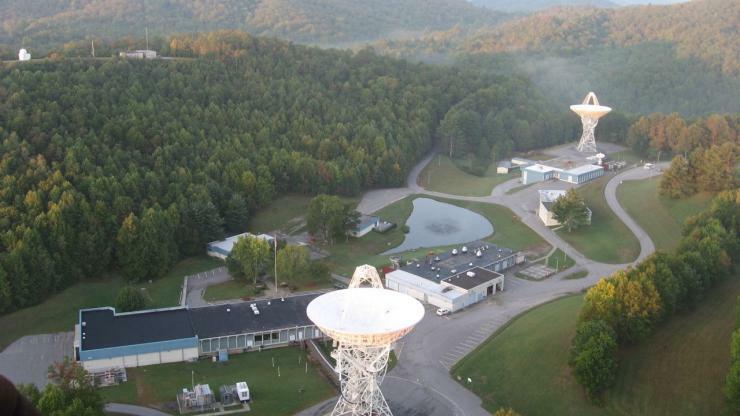 The NASA Tracking Station near Rosman, North Carolina opened to track satellites & manned space flights. It collected data for the Department of Defense from1982-1995. The Pisgah Astronomical Research Institute (PARI) is a public nonprofit foundation staffed largely by volunteers, used for research and education. It operates in what remains of a tracking station maintained by the National Aeronautics and Space Administration (NASA) during the peak years of the American space program. The facility in the Pisgah National Forest was dedicated on October 26, 1963, in a program attended by Gov. Terry Sanford and Sens. Sam Ervin and B. Everett Jordan. The site was selected because it was on government land and was in an area almost totally free of radio frequency and relatively free of light pollution. The key feature on the 200-acre campus was an 85-foot steerable parabolic reflector. NASA built the Rosman Satellite Tracking and Data Acquisition Facility to be the nation’s primary east coast satellite-tracking facility. The station played a vital role in the space program, communicating with satellites and manned space flights as they passed over the East Coast. The Rosman facility also played a role in the development of weather satellites, transmission of television signals, and GPS systems. Eventually, satellite communication technology evolved and the Rosman Station was not as critical to NASA. In 1981, the station was transferred to the Department of Defense and used for satellite data collection. At its peak about 350 people were employed at the facility. During the years of active operation, it is estimated that the government invested several hundred million dollars in the site. In 1995, the facility was closed and operations were consolidated elsewhere. Of the twenty-three antennae, nineteen were moved to other locations and most of the instrumentation and electronics were removed from the site. However, the bulk of the infrastructure remained. After several years of inactivity, the government decided to dismantle the facility and let it return to the forest. Recognizing the value and potential for the site, Don and Jo Cline of Greensboro led the effort to save the campus and use it to educate future generations of scientists. In January 1999, the Clines acquired the site and transferred it to the foundation. Much of the initial work at PARI was oriented to restoring the facility and its instruments to the level necessary for scientific and educational purposes. PARI invested more than two million dollars to upgrade the electronic drives and computer controls for the two 26-meter radio telescopes. The new investment now amounts to over $15 million. Several thousand students have been inspired by PARI programs that provide hands-on experience. In May of 2017, a North Carolina Historical Highway Marker was dedicated for the site. It is located off US 64 at NC215 west of Rosman, North Carolina, in Transylvania County. I graduated from NC State in electrical engineering in 1968 and went to work with radiation inc (now Harris) in Florida. In 1971-1973 I designed a "spacecraft command encoder" which formatted the electronic commands for uploading to the satellite during the overhead satellite pass. Theses boxes were installed at all the tracking stations, including here. Just a little NC connection and glad to know the infrastructure is still being used. my dad worked for western union in the 60's and 70's after a stint with the navy. he would have to do maintenance work on teletype/telex equipment and it always fascinated me he work in this relatively "secret" facility. I want to visit it soon. maybe in september! In the late 60s, I worked at the NASA satellite tracking station near Quito Ecuador. We used an AD/ECS-37 computer to control our tracking antennas. I worked at the NASA tracking station one week in 67 or 68. We were preparing for the launch of the OAO-A2 satellite and testing with the AD/ECS-37A computer at the Rosman site. I live near Greensboro now and would like to visit. Is that possible?